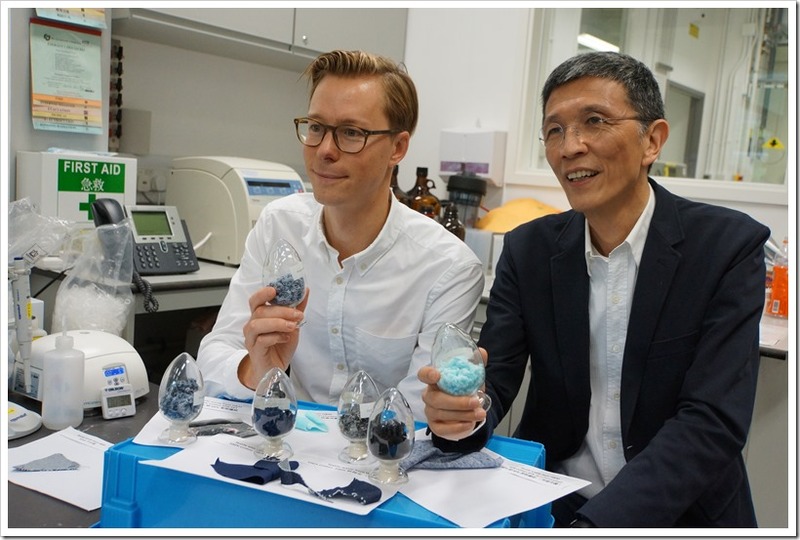 The innovative partnership between the non-profit H&M Foundation and The Hong Kong Research Institute of Textiles and Apparel (HKRITA) finds groundbreaking solutions to recycle blend textiles into new fabrics and yarns – without any quality loss – through a hydrothermal (chemical) process. 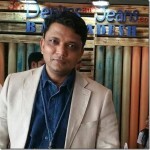 The technology will be scaled up and made available to the global fashion industry. The finding is a major breakthrough in the journey towards a closed loop for textiles. “For too long the fashion industry has not been able to properly recycle its products, since there’s no commercially viable separation, sorting, and recycling technology available for the most popular materials such as cotton and polyester blends. This very encouraging finding has the potential to change that. 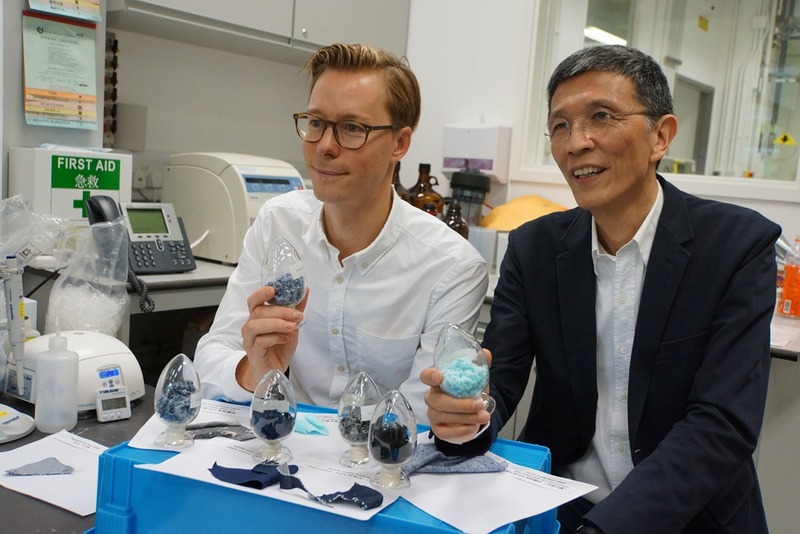 We are very excited to develop this technology and scale it beyond the laboratory, which will benefit the global environment, people and communities,” says Erik Bang, Innovation Lead at H&M Foundation. How Does This Technology Work ? 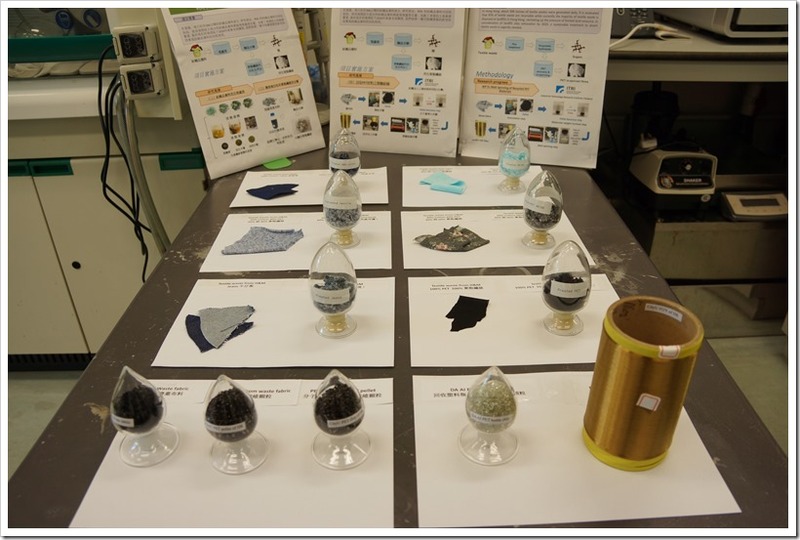 We’re working on two different separation and recycling technologies, both targeting blended textiles. 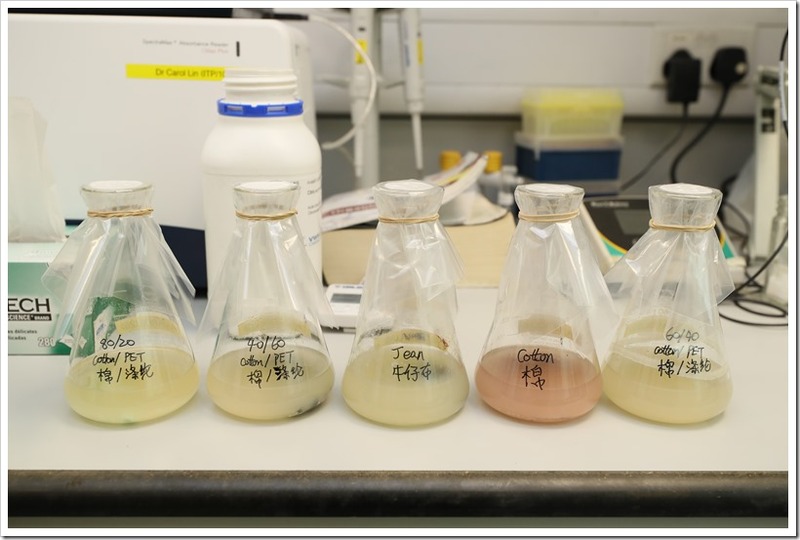 In this process of Hydrothermal , the cotton comes out at a cellulose powder which is possible to upcycle back into yarn and fabric through existing and emerging technologies. Through our second method, the biological one, the cotton is processed to glucose. Glucose is a widely used chemical building block in several industries including textiles. The polyester is in fiber form and without quality loss from both methods, which of course is fantastic. The water used in the process is recovered and can be reused over and over again in a closed system. So there is very little water consumption. We are very mindful not to create another problem through these new technologies so it is top of mind in designing both methods. The partnership works towards the goal of providing at least one separation and recycling technology to the industry by 2020. 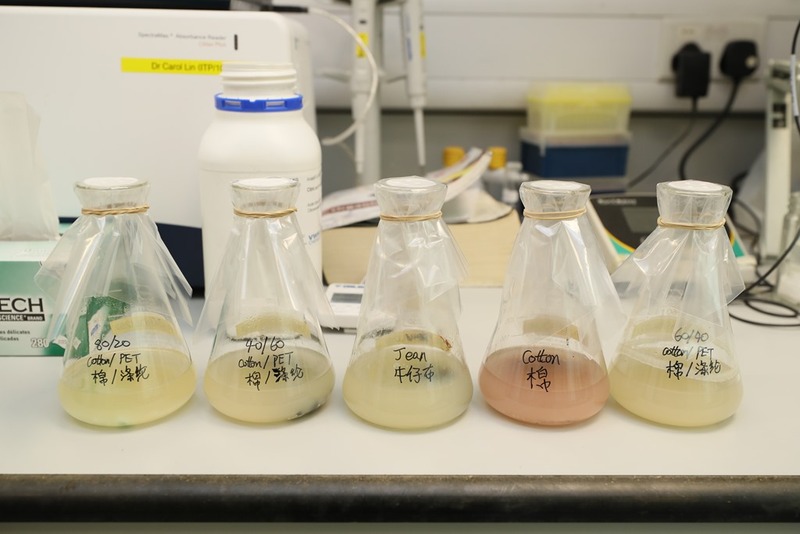 We’re currently scaling up the lab breakthrough in a pilot plant in Hong Kong, operational within 12 months. We are very excited to see what the future holds. The hydrothermal process uses only heat, water and less than 5% biodegradable green chemical, to self-separate cotton and polyester blends. This fibre-to-fibre recycling method is cost effective, and there’s no secondary pollution to the environment, ensuring the life of the recycled material is prolonged in a sustainable way. The technology will be licensed widely to ensure broad market access and maximum impact. “By being able to upcycle used textiles into new high value textiles, we no longer need to solely rely on virgin materials to dress a growing world population. This is a major breakthrough in the pursuit of a fashion industry operating within the planetary boundaries,” says Edwin Keh, Chief Executive Officer of The Hong Kong Research Institute of Textiles and Apparel (HKRITA). It is H&M’s customers’ engagement that have enabled this important research, as the exact financial contribution is determined by the annual surplus from H&M’s global in-store garment collecting program, which is donated to H&M Foundation. To date the H&M Foundation has donated 2.4 million euros to HKRITA. H&M has been very consciously moving in the direction of sustainability as an important corporate objective. We can see its developments in terms of usage of organic materials, efforts to implement sustainable practices with its partners , collection of used garments and many other sincere efforts in environmental protection. This again is a huge step and if the efforts pay off, it will make huge impact on the global fashion industry with vast amounts of recyclable materials available taking off big part of ‘FASHION BURDEN’ from mother earth. It also looks that this technology, once developed , will be freely available for common good. If the project is successful, we may find PCW getting a new meaning and fashion industry may loose some of its guilt ! We all look forward to and hope for success of this project. H&M Foundation is a non-profit global foundation, privately funded by the Stefan Persson family, founders and main owners of H&M group. Its mission is to drive long lasting positive change and improve living conditions by investing in people, communities and innovative ideas. Through partnerships with organizations around the globe, the H&M Foundation drives change within four focus areas; Education, Water, Equality and Planet. In addition to this, the Foundation can also provide emergency relief. Since 2013, the Stefan Persson family has donated 1.3 billion Swedish krona ($177 million/€144 million) to the Foundation. Learn more at hmfoundation.com.